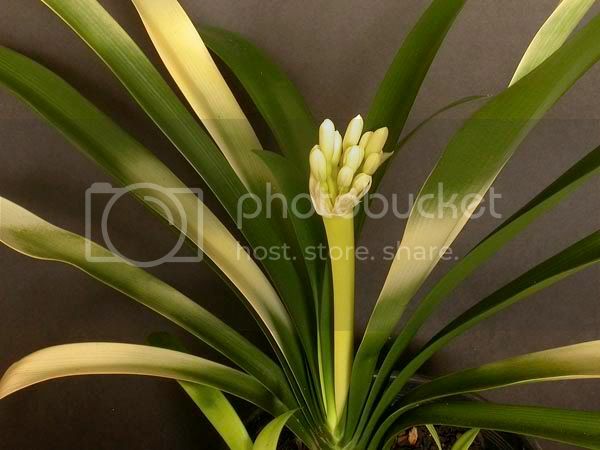 Growing variegates – by Helen Marriott | Melbourne Clivia Group Inc.
Clivia offer us not only splendid flowers, but also much variation in foliage and hence provide visual interest and stimulation during the whole year. 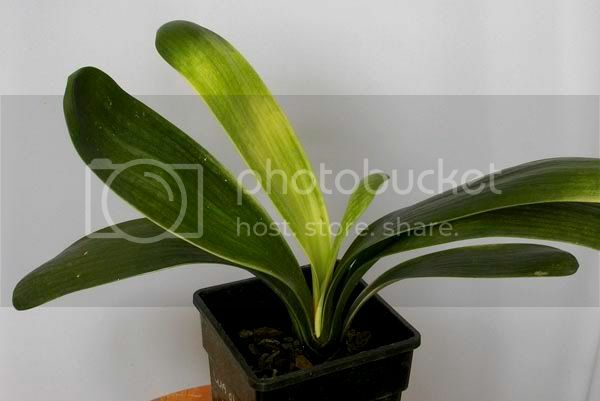 Zonneveld (Clivia 8: 66) defines a variegated plant as showing different colours in a single leaf. In Clivia, the variegation can be found not only in the leaves but also in the peduncle (stalk of an inflorescence), pedicels (stalks of individual flowers/berries), and even the berries themselves. Most commonly we find cream/yellow, or a whitish or light green colour on a dark green background, but there is some variation to this generalization. This is not to say that variegation never appears in Clivia flowers, as this feature indeed has been observed by the keen enthusiast on rare occasions, and furthermore, oddities, such as striped berries on a solid green-leafed plant, observed last year by Ken Smith in New Zealand, can also occur. Here, however, I will not deal with variegation in flowers or with oddities. Variegation often appears on the new leaves following germination and so can be enjoyed throughout the life of the plant, with many leaves different from each other. At times, however, a small amount of variegation may appear later in the growth cycle, and, in turn, be passed to its offspring. Alternatively, on occasion an apparently variegated plant can also become a green-leafed plant. Early in my days of Clivia growing, I obtained one rather weakly variegated Clivia and it has produced many good variegated seedlings over the years. However, I have also been excited to find unexpectedly variegated seedlings arise from some of my other crosses, including the use as a seed parent of (a) a multipetal (that had only a single thin cream stripe on one leaf when it was originally purchased as a small seedling); (b) a seemingly green-leafed plant (with orange flowers) purchased from a nursery some years ago, and which I crossed with C. miniata ‘Aurea’; and, (c) C. miniata ‘Aurea’ x C. miniata (a Japanese yellow), where one out of numerous seedlings emerged with variegation. The hybrid mentioned in (b) above has already flowered and I have crossed it back to ‘Aurea’ again, so I can expect to obtain 50% of the seedlings with unpigmented bases (which should flower yellow) and 50% with pigmented bases (which should flower orange but which will also possess yellow genes). Hopefully some or even most of these offspring will also have variegation in the leaves. I have also had the opportunity to visit two leading commercial growers of variegates in Japan in recent years and on a number of occasions have seen Yoshikazu Nakamura’s wide ranging collection of variegates as well as the excellent plants owned by Shigetaka Sasaki, our member in Japan. Of late, I have a new interest in those seedlings or plants which feature multiple or mixed patterns of variegation, but I will save that topic for another occasion. Anyone interested in the topic of variegation in Clivia should consult the various articles found in the yearbooks of the Clivia Society (see references below). The variegation in Clivia can be basically divided into two main categories: longitudinal variegation and horizontal variegation. Some of the terms used to describe the types of variegation in Clivia have been borrowed from Japanese, no doubt because of the developments in Japan in breeding and growing variegates, and the dissemination overseas of seed, plants as well as knowledge about breeding and cultivation. More recently, influence is also spreading from China in this regard. Photos which illustrate some of the different types of variegates can be viewed on the MCG website (http://www.melbournecliviagroup.org.au/gallery.html > Variegates). 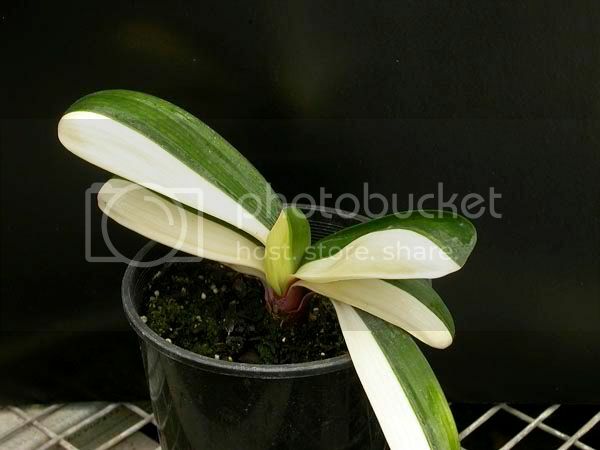 A few photos also show variegate plants in Sasaki’s greenhouse and Marilyn Paskert from the U.S. has supplied a couple of photos of Solomone variegates. John van der Linde (South Africa) has contributed a splendid photo of variegated berries. There appear to be several different ways to categorize Clivia with longitudinal variegation. Sasaki has suggested that some of the types to be described below are sub-types of “shima(fu)” or the striata type (Clivia 5, p.52), but here I will follow Smith’s categorization and introduce three main types and several sub-types of longitudinal variegation (personal communication). The first and by far the most commonly occurring pattern of variegation in Clivia involves cream, whitish or light green “stripes” running longitudinally down leaves, from the base to the tip of the leaf. As noted above, the stripes may also occur on the peduncles, pedicels and berries. This variegation pattern is known as striata or in Japanese, “shima(fu)”, where “fu” means variegation. (When these terms are used in English there is some inconsistent use of “fu”, with it either being used, or being typically dropped in some cases, as in “akebono” and “fukurin”.) Smith describes this type as including lightly patterned striata (just a few stripes), which are sometimes referred to as “pinstripe”, right through to heavily patterned striata (which involves bold showy stripes). The variegation pattern is furthermore highly variable across the leaves. I guess that somewhere between 90-98% of the variegates in Australia or even around the world are of this type. Smith observes that this is the most variable type visually: “Anything from a few random stripes, to regularly spaced stripes, to boldly striped – each leaf will be different. You can even get green on green striping”. Another pleasing variation or sub-type of striata variegation, but which is not yet widely known, is “negishi(fu)” which commonly has thin or broken-line lines (very occasionally dots) running lengthwise through lighter or yellowish green leaves. I am sure that I can also find this pattern sometimes arising from crosses involving a seed parent with regular striata variegation. The Japanese polytepal (multipetal) specialist, Atsushi Nakayama, has named an attractive lightish-coloured “negishi” cultivar as ‘Kooga’. According to Smith, the rare variegate known as Mandarin Duck, or “genfei(fu)” where the leaves are divided lengthwise into two equally coloured parts, “is just a weird half and half striata, but because of the cellular makeup of the leaf, it cannot be reproduced from seed, and can grow out easily if the basal cells that start the leaf pattern are disrupted”. Amongst my own plants, I can only find one single leaf of a variegate where this pattern occurs but unfortunately, this won’t qualify it as belonging to this type! A single leaf with a halfsider pattern seems to occur from time to time. The second main longitudinal type, which is separate to the widely occurring striata type described above, are “fukurin(fu)”, also known as margin or margined variegation, or more precisely, albomarginated/aureomarginated variegates. This variegation pattern involves a green centre, with cream/yellow or whitish (or sometimes different green) edges, and importantly, needs to be symmetrical. Nakamura always has a few “fukurin” plants for sale at his nursery outside of Tokyo, as he is able to purchase the plants as offsets from a middleman dealer. The fukurin sold by Nakamura are invariably orange-flowered, and with thinnish leaves. Broad-leafed “fukurin” are quite rare in Japan, but see the photos on the website for a beautiful specimen that is owned by Sasaki. Nakamura has named one cultivar as ‘Itofukurin’, which Smith describes as showing a thin white margin due to the epidermal layer being white. In the U.S. the late Joe Solomone produced some magnificent yellow-flowering “fukurin” variegates. While “fukurin” variegates can appear spontaneously in extremely rare cases, propagation is normally through division, so its spread in some countries or regions is quite limited. The third main type of longitudinal variegation is median variegation, where the plants have a median stripe in the form of a distinct band or centre stripe (or group of stripes – from few to many) running along the mid-line from the base to the tip of the leaf. It is known as “naka(fu)” in Japanese, and according to Smith, produces green-leafed seedlings. Smith also points out that median variegation is represented as a centre variegated mutation, as described here, or else as a “natural mid stripe”, as in some C. mirabilis and C. nobilis. Providing an entirely different effect are horizontal or transverse banding types of variegation. A small number of growers in Japan, including Nakamura, have been breeding “akebono(fu)”, which typically have horizontal whitish bands on otherwise green leaves. As a result of this breeding, outstanding flowers are also coupled with exquisite leaves. Nakamura’s “akebono” have long leaves, but smaller “daruma”-type compact “akebono” plants are also found in Japan. Apart from their leaves, Clivia with “akebono” variegation also have creamish peduncles, pedicels and berries, making them stand apart from other types of variegates. Interestingly, Sasaki has noted some similarity with “negishi(fu)” which also have creamish or yellowish green peduncles and pedicels. In Toowooba, Kevin Walters has named an “akebono” plant which appeared spontaneously as ‘Florence Cornford’. Here the “akebono” stripes are deep cream in colour and also feature more in the centre of the crown, although I assume that there is seasonal variation and as with other “akebono”, where the lighter, contrasting colour becomes more pronounced during an approximate six- to eight-week period in late winter and spring. Connie and James Abel outline this feature clearly in Clivia 6 (pp.54-56). 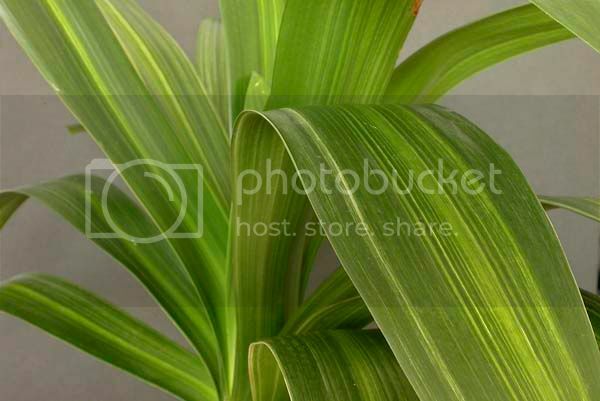 The Abels also describe “akebono” as usually having one stripe per leaf, with the bands of older leaves remaining close to the centre while the bands on the younger leaves are pushed out to the periphery of the plant. According to Sasaki, there are further variations within “akebono” plants themselves (Clivia5, p.54). With less distinct bands than in Japanese “akebono”, the Light of Buddhavariegation has been developed in China (Clivia 6, pp.74-80). Here the leaf colour has areas which are more yellow as a result of chlorophyll being distributed throughout the leaf. In recent years, several Japanese growers have imported Light of Buddha seed from China, and so it is now being grown in Japan as well. A variation of this type of plant which is known as Starlight Light of Buddha involves darker coloured dots on the leaves (Clivia 6, p.77). An exciting new development in Japan is the emergence of a new Tiger variegation (unconnected with the older virus-induced ‘Taihoh’, also known as ‘Tiger’), with horizontal, tiger-like bands. Sasaki has described this new pattern discovered and now bred by Hiroshi Mitsuhashi and has also included photographs in Clivia 10 (pp.59-62) (as well as on our website). He suggests that the Tiger variegation looks like a scab or welt on the surface of the leaf but that the pattern can also be seen on the leaf’s underside. I am aware that Chinese Clivia breeders have identified and developed further categories of variegation in their plants, but as I am not personally familiar with these, I can only refer those interested to the available literature from China or elsewhere. Position is probably the key to growing variegates, as any direct sun is likely to easily burn the section of the leaf without chlorophyll. For this reason, growing the plants in pots and positioning these in shady areas, probably under shade cloth or another protected area, is highly recommended. 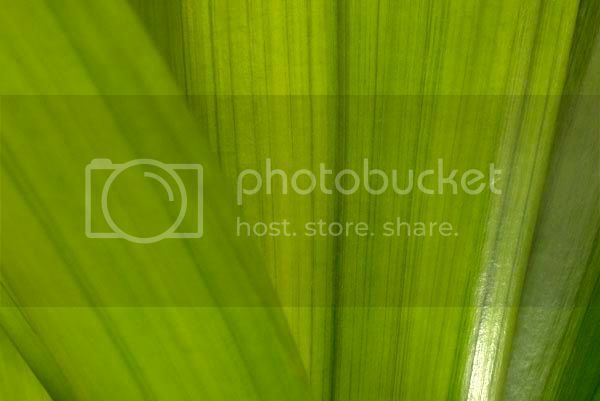 Even then, I still experience some dieback in the non-chlorophyll sections of certain leaves, which suggests that these plants need a higher level of shade than other green-leaved Clivia. A member of the Cape Clivia Club (South Africa) who reportedly grows variegates well states that the plants need to be under shade where the wind can cool them. If this is done, then the “browning” can be reduced. Different people give different recommendations for the watering and fertilizing of variegates. One South African grower recommends not giving additional fertilizer other than what is used when repotting, but he repots his plants annually; others recommend giving somewhat less fertilizer (eg about two-thirds the amount given to a green-leafed plant), while still others recommend to give basically the same amount of fertilizer to variegates as to non-variegates, except in the case of those plants which are very strongly variegated (with large non-chlorophyll areas), where the amount would be reduced appropriately. My own practice is to give all seedlings – variegates or not – the same amount of liquid fertilizer, and to give slightly less solid fertilizer to mature plants. But I admit to not knowing the “best” solution. Watering is more or less the same as for fertilization. Overall, variegates tend to be slower growing, because the non-green leafed sections of the leaves do not contain chlorophyll and therefore do not contribute to the energy needs of the plant that are derived from photosynthesis (Clivia 6, p.54). It is commonly believed that variegation in Clivia is due to maternal inheritance, that is to say, the variegation is passed through the seed (or pod) parent. A few people believe that there may also be some paternal (pollen) parent influence, but the extent, if any, remains unclear. This claim concerning maternal inheritance applies to the longitudinal variegates, apart from “fukurin”, median variegates or Mandarin Duck variegates, none of which can be propagated purposefully from seed. The rule also largely applies to the horizontal variegates, but the new Tiger variegate constitutes an exception. Albino (yellowy leaves, without chlorophyll), that will soon die. On the basis of their breeding, Mick Dower (Cape Clivia Club) and others have confirmed that use of thinly striped variegates (striata type) as the seed parent produces a range of offspring from thin pinstripe through to broad variegation, with no albinos (though I gather there is some disagreement about this), whereas the broader or stronger the variegation is in the seed parent, the higher the occurrence of albinos, even 100% in some cases. These albinos, unfortunately, will not survive. While some people prefer the visual appearance of a plant with broad stripes, a thinly striped plant is better for breeding purposes. Mick Dower has also observed that if pinstriped variegates are used as both the seed and pollen parents, then more variegation occurs in the offspring. Commonly, however, a non-variegate parent is used as the pollen parent. Sasaki recommends that for breeding purposes, we select seed parents where the stripes are no more than 30% of the total surface of the leaves (Clivia 5, p.53). For growing variegates, van der Linde has recommended selecting seed from berries which are striped. I actually noted on a label once that I sowed seed from a green-coloured berry (on a lightly variegated interspecific), without variegation, but observed that some variegates emerged among the seedlings. Whether the berries did actually have some variegation that my eye could not see remains unclear. For the propagation of striata variegates, Nakamura deliberately selects berries with thin stripes (Clivia 5, p.53). In recent communication, Sasaki recommends that those of us who own striata-type variegates should closely observe the green flower buds before they open. He suggests that some might have thin variegation on the buds themselves. He further claims that in cases where the variegation on the buds is quite pronounced, these may make good breeding parents. My own experience confirms that sometimes variegated seedlings emerge from an apparent green-leafed plant, as noted above even though the latter sometimes display variegation in a subsequent off-shoot. Smith suggests that generally, when a green-leafed plant produces variegated offspring, it is because the “green” plant is actually a lightly variegated plant to start with. Although the “akebono” (and I expect also the LOB) pattern is apparently inherited 100% in the seedlings, I have personally found “akebono” and to a lesser extent, Light of Buddha, seedlings difficult to raise from the outset, though the Abels (Clivia 6) recommend to delay sowing the seed until early to mid-summer when the new leaves will emerge green due to the seasonal characteristic of the “akebono” banding (Clivia 8, p.17). “Fukurin” variegation needs to be increased through offsets, and for this purpose, sometimes cuts are made at the base of a parent plant to vegetatively increase the offsets more quickly (see the photo of Nakamura performing such a cut on the website). Plants exhibiting “fukurin” variegation are thus available in Japan, albeit on a very small scale, through division. An exception to the pattern of maternal inheritance is the newly discovered Tiger pattern of Mitsuhashi, which is transmitted, to a certain extent, when Tiger is used as the pollen parent, as well as when it is used as the seed parent (see Sasaki, Clivia 10). In our collections, variegates are predominantly found in C. miniata, though nowadays thanks to the breeding of Nakamura and others, there are a few interspecifics which have variegated leaves. In Japan I had the impression that variegates were often produced by some commercial growers for their leaves alone, irrespective of the flower. So here is a definite opportunity for the hobbyist to breed for improved flower form and colour. If we use a good pollen parent, even on a fairly ordinary flowering variegate, we can breed for other colours, such as yellow, peach or other pastel colours. We can also use other species crossed to C. miniata with variegation to get different shaped leaves and flowers out of the main C. miniata flowering period of early spring. Furthermore, we can aim to introduce other characteristics into the variegate, such as polytepal (multipetal), Ghost, bicolours and so on. Importantly, we only need one variegate mother plant to start with. 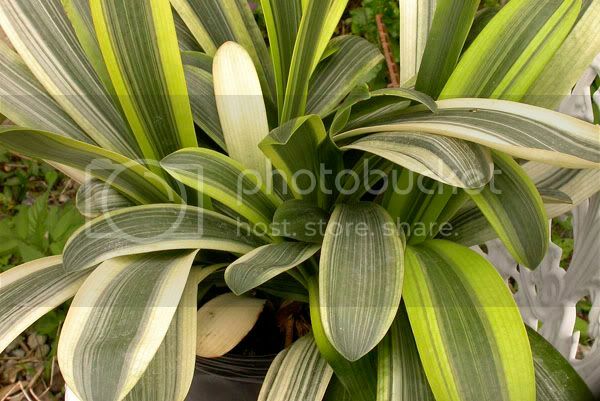 The feature of variegation in Clivia adds an extra level of enjoyment to the growing of this plant. A variegate provides an excellent addition to one’s collection, especially for those growing their own seed. Some people may be lucky and find a variegate among the plants or seedlings that they already possess. However, variegates cannot be considered as garden plants but rather as something special that may need a little extra attention, most particularly, pertaining to where the plant is placed. Those who are beginning to grow Clivia may be better to practise growing green-leafed plants or seedlings, and after they have developed some confidence, consider growing a variegate. In general, though, a variegate with thin, striata-type stripes is unlikely to have special requirements, other than sufficient shade and probably also good ventilation. On the other hand, growing and propagating different types of variegates is a challenge which, no doubt, many of our experienced growers find very satisfying. Notes: Thanks to those friends who read my drafts, especially Ken Smith who advised on the categorization and some definitions. Abel, C. & J. (Clivia 6) “Observations on Akebono”, pp.54-56. Dixon, R. (Clivia 8) “Types of variegation in Clivia”, pp.73-76. Dixon, R. & K. Hammett (2004) “Guide to the classification and exhibition of Clivia (draft). Accessed 13/4/09. Available fromhttp://www.cliviasociety.org/clivia_guide_main.php#Classification. Grebe, H. (Clivia 6) “In search of a ‘Light of Buddha’”, pp.74-80. Marriott, H. (Clivia 8) “Nakamura’s contribution to Clivia Breeding”, pp.6-18. McClelland, W. (& K. Haeberle, illustrator), “Illustrated terms and definitions”/”Illustrated definitions for how to describe clivia”. Accessed 13/4/09. Sasaki, S. (Clivia 3) “Clivia in Japan”, pp. 24-72. Sasaki, S. (Clivia 5) “Variegated Clivia in Japan”, pp.52-56. Sasaki, S. (Clivia 10) “Recent developments in Clivia Breeding in Japan”, pp.59-64. Zonneveld, B. (Clivia 8) “Variegation in Clivia”, pp.66-72.